When my parents and I drove our rental car through Wisconsin Dells while on holiday in the USA we passed by this crazy place called ‘Dells Top Secret’. 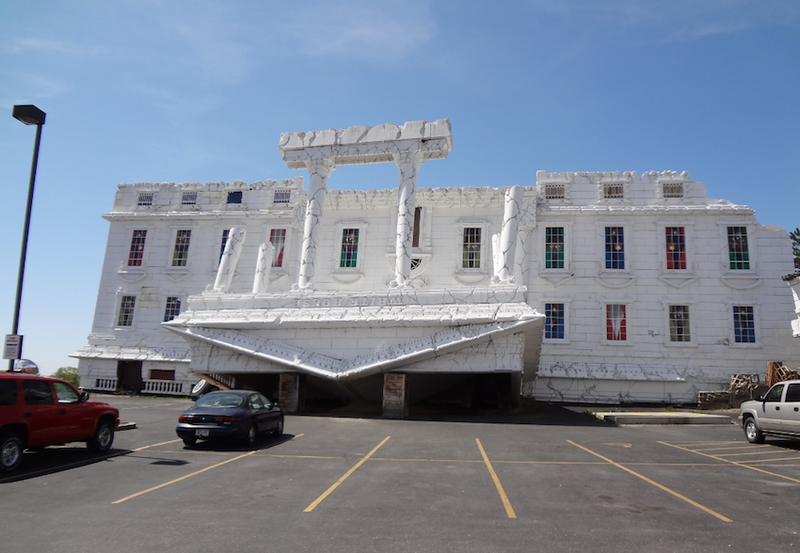 The building is supposed to be the White House that got flipped over when it was abducted by Aliens (I told you we drove by a ‘crazy’ place..). 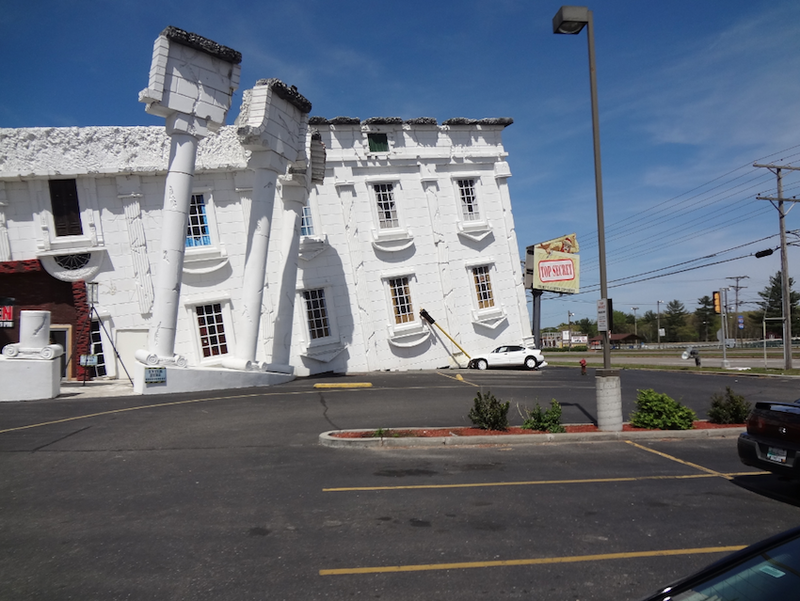 You would never see a building like this in The Netherlands, so we got out of the car to get a closer look. I went into the building to ask how much a tour would cost. I turned out to be 12 dollar. A bit much for something that sounds a little childish right? I mean I bet it would be great fun to go there with your children, but as adults without little kids I’m not sure. However, the outside of this building is fun (and free) to see! Wisconsin Dells is a really fun and interesting place. It is basically a whole town filled with water parks and other crazy attractions like this one. During the summer Wisconsin Dells is super busy, people from all over the state (and even out of state) go here to vacation. I might dedicate a whole post to The Dells once!